Cabbage fried with mushrooms. Recipes from Russia. 2 cup mushrooms, pickled or salted, chopped. Fry onion in a large skillet with oil until golden. Add paprika, fry for minute. Add carrot and fry, stirring, until golden brown. 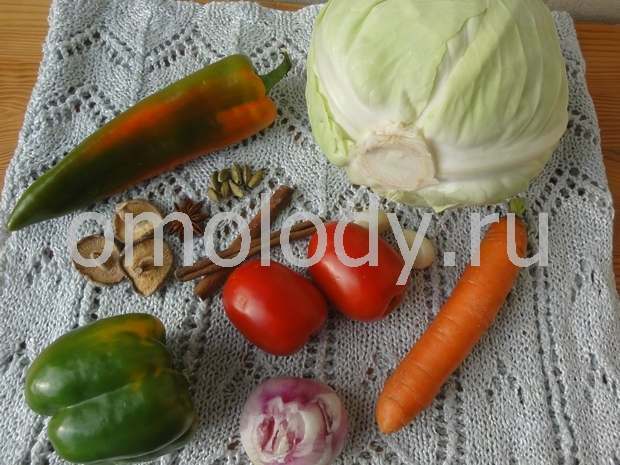 Add tomatoes, than cabbage and fry until golden. Add seasonings, drained greenery, tomato sauce, mushrooms and stew several minutes, stirring. Serve hot.